As a project of Other Sights for Artists’ Projects it will be anchored in the eastern end of False Creek (near Science World). 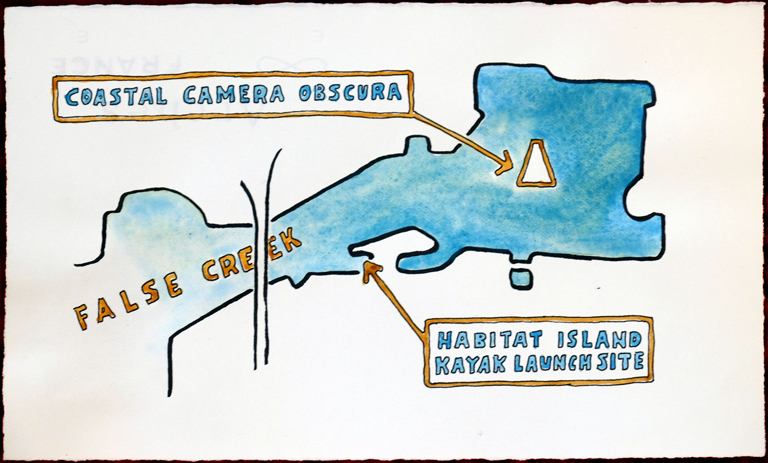 There will be a bunch of kayaks on the beach at nearby Habitat Island where I’ll be with a couple of TRU alumni to take you out to view the Camera Obscura and its view of the changing waterfront around North East False Creek. Tours will be between 11am-7pm daily, with a bit later start on the 8th as we’ll be towing the camera obscura down from its assembly location by the Maritime Museum. 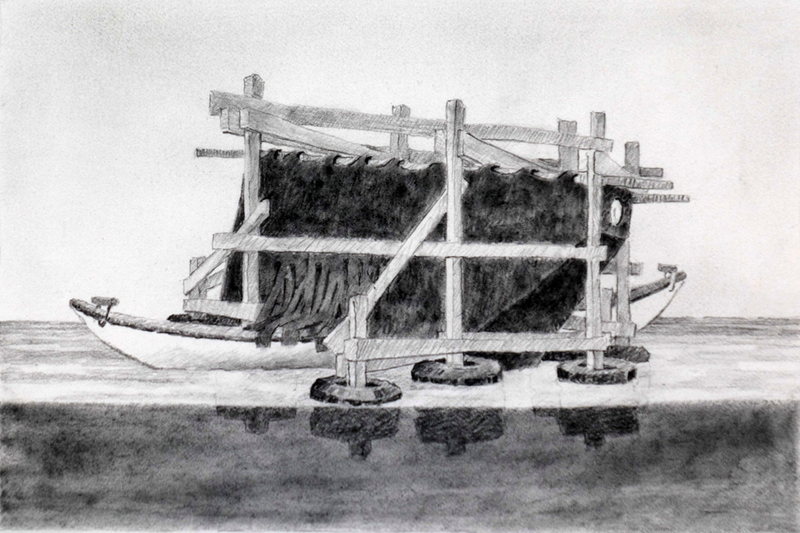 « Visual Arts: For an exciting degree program or elective.